at Discovery Suites in Manila, Philippines! Located amid the coveted tropical climate famous for The Philippines, Discovery Suites is a full-service residence property within a towering location perfect for both business and leisure travelers in Manila. With five spacious room categories and 220 well-appointed accommodations, each visitor, from solo travelers to family groups, can relish in a setting to match their unique preferences. 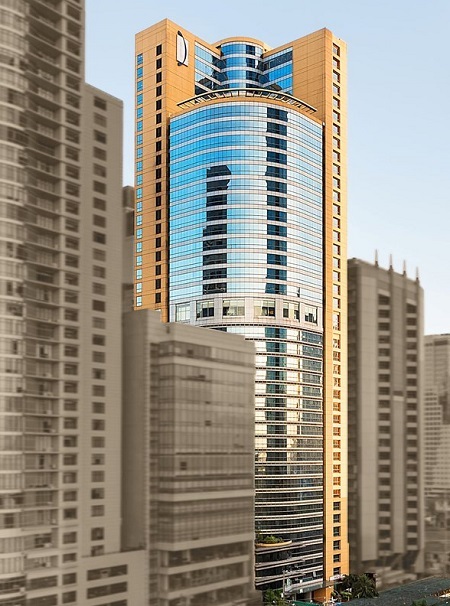 Discovery Suites boasts the functional comforts of home combined with the luxuries of an elegant hotel property. The hotel's dedicated staff is committed to providing guests with excellent service, and have done so since the property's opening throughout the past decade. When looking to relax after a day of activity, travelers can unwind by the pool, sauna, or steam room. Offering two restaurants and a bar, boasting buffet meals and casual yet elegant dining, the hotel allows guests to delight in the flavors of the region and eclectic cocktails amid a spirited atmosphere, with the lounge featuring a panoramic city view. 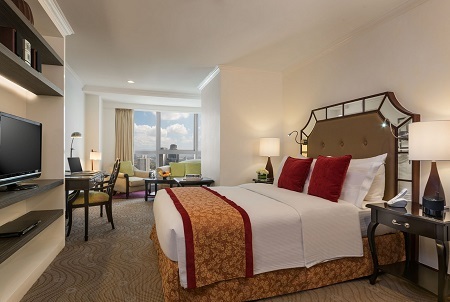 For access to Manila’s vast treasures, a stay at Discovery Suites promises a prime respite with close proximity to the city’s revered sights from the dignified business district. The city of Manila exhibits a smorgasbord of flavors throughout its neighborhoods, from adobo, to sisig, to halo-halo, to name just a few. 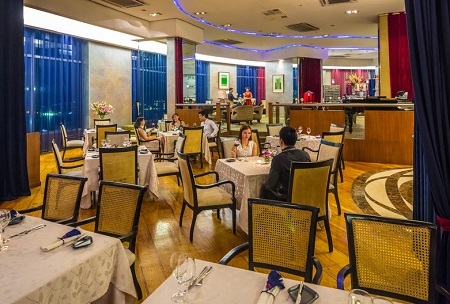 At Discovery Suites, travelers can indulge in tastes distinct to the region itself at the property’s onsite dining outlets. Restaurant 5 features a casual atmosphere for breakfast and lunch and offers Asian fare alongside a continental buffet. For a fine dining experience, 22 Prime allows guests to marvel at panoramic views from the heights of the 22nd floor, and features an intimate ambiance. At the hotel’s vibrant Serendipity Lounge, guests can enjoy light bites coupled with an impressive beverage selection. Discovery Suites features 220 exquisite all-suite accommodations, featuring multiple spaces and plentiful amenities for added comfort. Guests can indulge their preferences and enjoy a comfortable stay in an ambiance that reflects their home away from home. Offer is based on single or double occupancy in a Serendipity Junior Suite Deluxe Accommodations. Stay a minimum of 1 Night or up to 4 Nights as desired and based on availability. Tax and service charges are $29.oo per room per night additional.